A day after we had seen Nothing But Thieves. We ventured back up to London to Alexandra Palace to see Royal Blood. I haven’t seen them live yet or been to Ally Pally. So I was really excited to see what they were like live and they didn’t disappoint. We started off by having dinner in a pub down the road from the venue called The Starting Gate which was very busy and took a little bit of time for us to grab a table in order to have dinner. 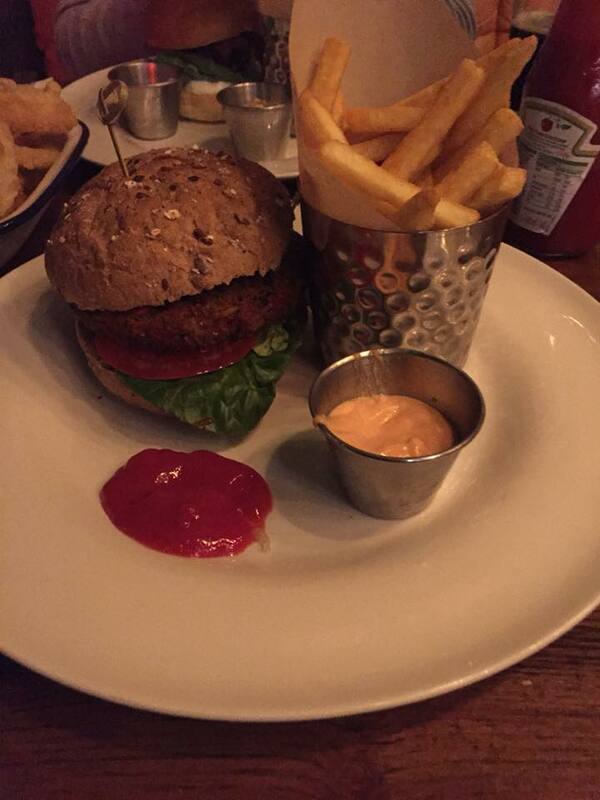 Finally we managed to get a table and ordered our food, I ordered their Veggie Burger and chips. We had to wait a little while for our food but finally when it came out it was yummy! We then headed up back to the venue to queue and scout the area and see what it was like. In the first room you get to it’s filled with lots of food and drink stalls which lots of people were at before heading into the concert hall. Ally Pally is a completely standing venue so there are no seats and you are all on the same level. The supporting acts were a little bit disappointing and the second act At The Drive In were just awful, both me and my Dad had our hands over our ears. I couldn’t wait for Royal Blood to come on! 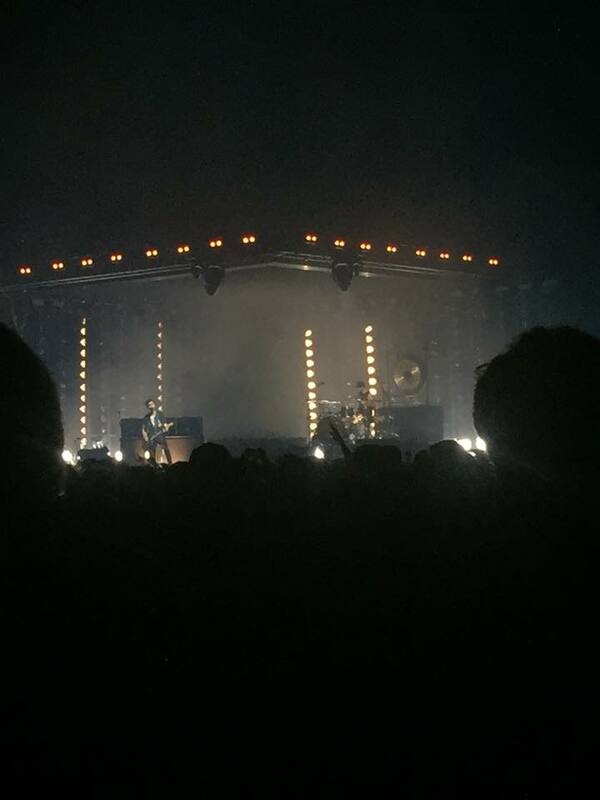 The thing I love most about Royal Blood is their guitar riffs and drum solos that they perform live. They are only a two man band but you wouldn’t think that if you just listened to their music without seeing who was on the stage. They can both play multiple instruments whilst performing, as the leader singer and guitarist Mike can also play the piano. 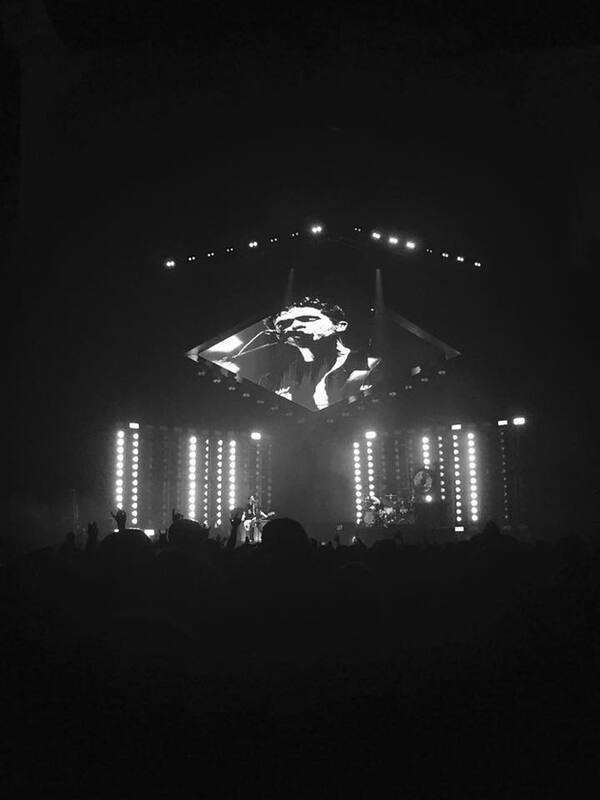 Have you seen Royal Blood live before? Or been to Alexandra Palace before – what were your thoughts?